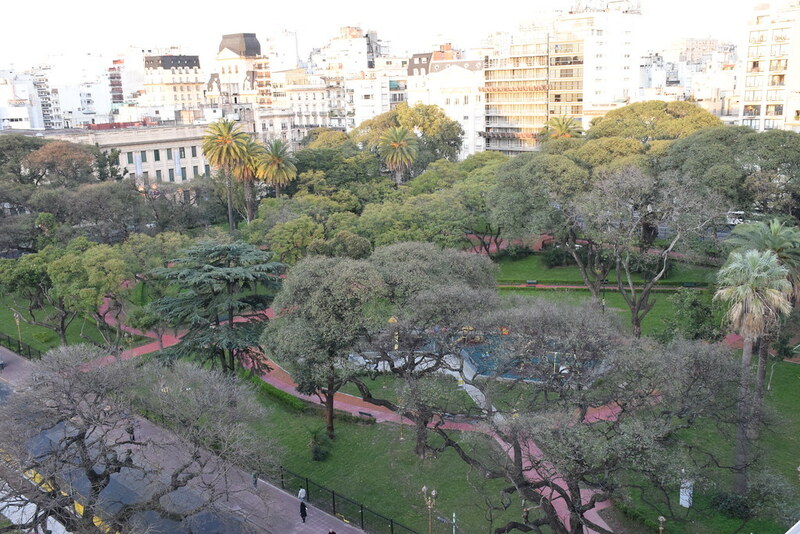 Buenos Aires is full of parks and plazas, and your hostel told you all about El Rosedal, Plaza San Martin, Los Bosques del Palermo and Plaza de Mayo, but here is a list of a few parks that are less talked about, but just as worth visiting. 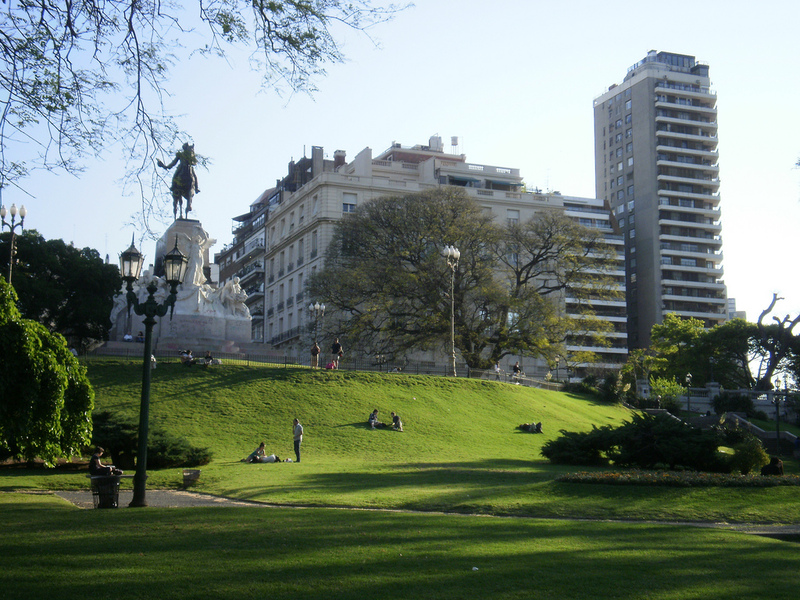 Located just a few blocks east of Plaza Italia on Avenida Las Heras lies this park with a big city vibe and lots of activity. There are several soccer courts, lots of paths, a children's play area, and even a school. This park is surrounded by 15-20 story buildings, and it is a great place for people watching. It is close to ´Alta Shopping Palermo´ and can be most easily accessed by the ´Bulnes´ stop on the D line in the subway. This is a great park to visit if you are in the city center, and want a place to have lunch in between activities. It is just a few blocks away from the famous library/bookstore ´El Ateneo´ and is right in between the medical school and the main avenue of the city, ´9 de Julio´. The park many taller trees and has a symmetric design with plenty of benches to enjoy the pleasant scenery. It is right next to the Callao stop on the D line of the subway. If you want a plaza with a European feeling, look no further. Plaza Güemes is a small plaza overlooked by the ominous´Espiritu Santo´ cathedral. The plaza has some trees surrounding it, and feels like it was pulled out of somewhere in Western Europe. Right next to this plaza is a path with grass, fountains, and monuments that goes for a few blocks along Charcas street. This plaza is pretty close to the aforementioned Parque Las Heras, but on the other side of the Bulnes stop. There are several coffee shops on the Charcas street as well as some tasty parrillas. If you are willing to go a little farther from the downtown ´microcentro´, Parque Centenario is a great place to see another, less metropolitan side of Buenos Aires in the Caballitos neighborhood. Made during the city´s 100th birthday and located directly in geographic center of the Autonomous City of Buenos Aires you can find yourself in this sprawling park. It has a laguna in the middle and is basically a huge circle. 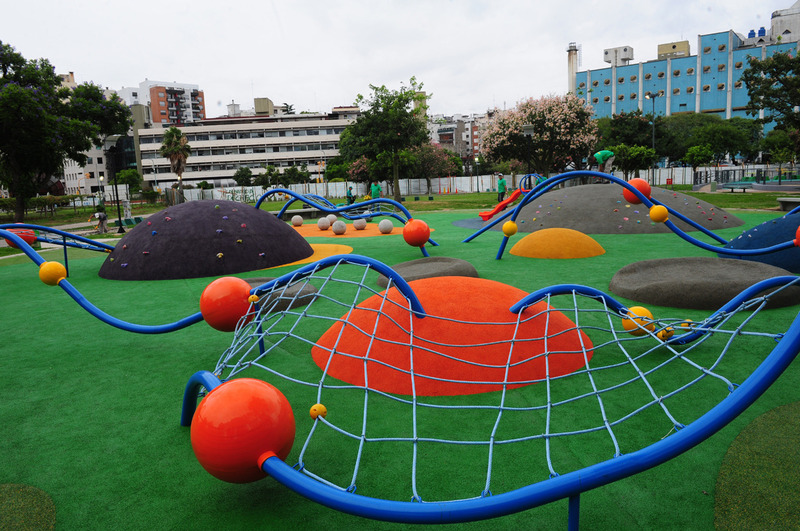 The park is a one-stop location with multiple playgrounds, an amphitheatre, a museum of natural sciences, a decently sized skatepark and an astronomy center. Getting here can take a little longer from the center, but it is just a couple blocks away from the Ángel Gallardo stop on the B line. Right in the middle of all the chaos of the city, Plaza Mitre offers a tranquil spot to take a breather and regroup before you hit the next destination. One of the best features of this plaza is that it has a hill, so you can sometimes watch people longboarding, rollerblading, and skateboarding down. The whole park revolves around a towering statue of Bartolomé Mitre, an iconic figure in Argentine history. This plaza is right next to the National Library (a building you cannot miss while you´re in Buenos Aires), the national law school, the recoleta cemetery, the museum of ´Bellas Artes´, and many other plazas and parks. Getting to this park is relatively easy from most places. The closest subway stop is Las Heras off of the H line. During your stay, dont miss out on these great spots in the city. They are just as full of beauty and charm as the more commonly known parks!